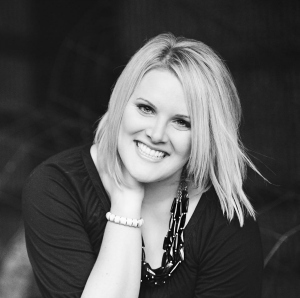 Life of Meg: Mingle Monday Blog Hop! Ohh Monday... we meet again. I don't know about you guys, but this morning hit me head on. Luckily after a cup of coffee and some breakfast in my office I feel much better! How was your weekend?? What were you guys up to? Well my weekend was very relaxing and productive. It feels good to start the week off with a clean house, fresh laundry, food in the fridge, and a happy heart. In case you're playing [Life of Meg] catch-up, let me help you out! I need your help on deciding what to do on my Chicago trip in a few weeks - advice needed! Also, if you're in the mood to bake, I posted my Toasted Coconut Chocolate Chip Cookie recipe yesterday. Pass on the Mingle love. Slip it in a post. Share with a friend. Anything. As always, if you can find a special kind spot in your heart to want to spread the word, I would love that! Hearing from all of you seriously makes my day, and I would love to get our other friends in here! Just in case any of you out there have your own business or know of someone who might like to advertise, I just had 3 spot become available. All ads are posted in the top right corner of my blog, and sponsorship spots go quickly! Have a fab Monday, girlies! hi meg! thanks for hosting!! i had a crazy fun weekend in boston..where i ate LOTS of not-so-good for you food. so this week i am trying to get into my workout routine again and ive planned some healthy meals. also instead of going out to dinner with friends i am going to make a healthy dinner! xoxo jillian:: enter to win a knit cowl! I've found that if I keep a food diary it is easier to lose weight. I like seeing my progress put on paper. @Nali - What an awesome idea! A food journal would be perfect for me since I am such a visual person! @Amanda - Loving this web site! I've needed a new place to go for healthy recipes and you totally helped me out - thank you so much!! I am super bad about eating healthy but usually the sooner I get my workout done in the day, the more likely I am to make healthy decisions for the remainder of the day. Oh and sparkrecipes.com too lol! @Amanda - it's been a while since I've been on spark people, but I always love their recipes - thanks!! Happy Monday Meg! Always get dressed to workout, even if you don't wait to - by the time your all suited up - you will find the motivation to do it! Flying thru Life - enjoyed her blog - wife of a pilot...I can't imagine being away from my husband all the time..
Nali's post for a lazy Sunday makes me want to go shopping at J. Crew. I like to use calorie counting websites. It helps you see how bad some food is for you, and you start to make better decisions about what you eat. As far as weightloss, I find it goes best for me if I make sure to get in just a little time to work out during the day. Also, if I start active (even if it's just running around getting some things done) in the morning, it helps me eat better throughout the day. I probably shouldn't give advice though because my weekend eating wasn't so great either!!! Rachel has an exercise log on her blog that is inspiring me right now! I wish I had some weight loss tips...but I really just don't. My husband is all about the "Insanity" workout DVD's. But oh my gosh...it's SO HARD. He's definitely seen results though. He's lost about 35 pounds in the 3 months and has some serious abs now, haha! Stopped by @Synfully Delicious! WOW! Love her flower garden post! So amaizng! Also stopped by @Its the Little things! LOVE her blog! I am going on her vacatio with her! LOL! how I discovered your blog. 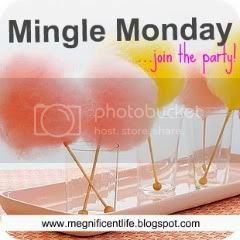 By the way, I'm your newest follower via GFC from the Monday Blog Hop. Hi, thanks for hosting! Having healthy food around is definitely a must for me; if I don't have it here I end up eating out and doing really terrible with my healthy eating plan. Have to go grocery shopping in just a bit, actually! I visited Running Backwards in Stilletos (who has some wonderful weekend photos today), Flying Through Life (who also went to a wedding - I'm loving all of these 9-10-11 weddings! ), and The Amazing in the Ordinary (who's sharing some hilarious confessions) today - 3 new blogs I'm looking forward to reading again! Best thing to lose weight? Caloric restriction and healthy eating. No need to "diet," just be careful with what you eat! I stopped by Bowling Adventures, and she's about to get a Hobby Lobby near her. AWESOME. Corey at Learning Patience (Sunday Funday) shows off some great pictures (and looks hot in a tiny bikini!) from her vacay in Barbados. Tiffany at Librarianista stated some fun facts about herself, one being she hates Christmas music. Crazy, right? She also could watch Donnie Darko over and over. My type of lady. I don't have healthy tips -bahaha! Hi there! My secret motivation for getting back to eating healthy is a little stupid, but basically when my jeans start feeling tight...ha!...but seriously. I don't really follow my weight, but if the jeans are a little tight, then I make sure to cut back on what I eat. I try to eat everything in moderation and if I can eat a little less than a serving that helps also. I'm new to your blog & am now a follower and loving it - I'm going to see if there is still time for me to participate in the swap - looks like fun! Fall Frenzy - Blog Gift Swap!